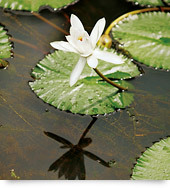 Come home to a nurturing green enclave and rediscover life in harmony with your family, community and nature. In the rush to embrace modern life, we have lost our sense of balance. We have traded in family time for long working hours. And moved deeper into the heart of the city, sacrificing intimacy with extended family, friends and neighbours. 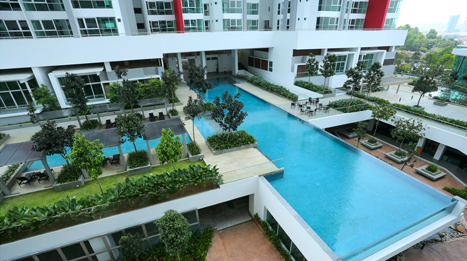 Life could be so different at Seringin Residences. Here, we have created homes that tread lightly on the environment, while offering you space, privacy and a sense of community within a secure neighbourhood. Seringin Residences offers a self-contained residential enclave with a rich variety of pleasures to enjoy. Seringin Residences consists of a primary residential building featuring 2 towers, as well as a secondary building known as S.A.G.E. (Sustainable Application of Green Energy). At the podium of the residential towers, there is an extensive array of health and recreational facilities for the family to enjoy, ranging from a 50-metre pool and Lifestyle Pavilions, to a convenience shop, playgrounds and even a floating gym. The adjoining S.A.G.E. 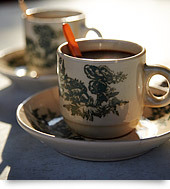 is a distinctive feature of Seringin Residences. This centre is powered by the latest in green technology, and opens onto a host of enriching eco activity spaces for the family to enjoy. When you’re surrounded by quiet roads, mature trees and quaint neighbourhood shops, it’s easy to forget you’re just minutes away from the city. 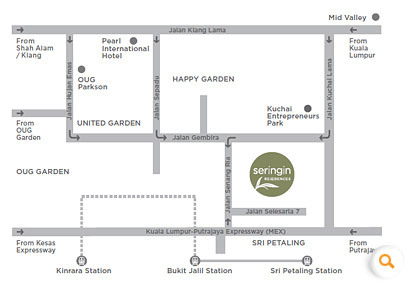 Seringin Residences is tucked away within the established Happy Gardens neighbourhood, in Kuala Lumpur. The gently undulating terrain, surrounded by quiet roads and mature trees, rises gradually towards an elevation from which one enjoys sweeping views of lush greenery and sparkling city lights. 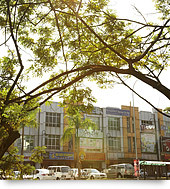 Despite its quiet and secluded location, all major highways such as the Kesas, MRR2, Maju Expressway, Seremban Highway, Old Klang Road, LDP, NPE and Federal Highway are a short drive away from the residences. Likewise, the established neighbourhood is rich in facilities and conveniences such as restaurants, banks, commercial offices, schools and hospitals. Roll-over the Blue marker to see the Amenities and Neighbourhood. 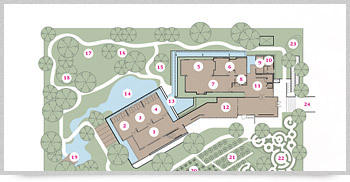 Occupying 1.2 acres out of the total footprint of 6.4 acres, the S.A.G.E. is truly a unique experience. The double storey S.A.G.E. is a model in sustainable application of green energy, and an enlightening educational and family recreational centre. It provides a unique environmentally-friendly experience that helps introduce children to a new eco-friendly approach to living. The S.A.G.E. features function rooms and an eco discovery centre with comfortable lounge areas, which include a library with a study and tuition room. Outdoors, there are many eco attractions such as a picnic grounds, ponds, herb garden, composting grounds as well as a rooftop garden. Enjoy our 1km discovery walk or a ride along our bicycle track. Multiple levels of security are built-in from entry to home. As you approach the main entrance of Seringin Residences, you will encounter a double storey glass-encased rhomboid structure - the nerve centre of the community’s security services. 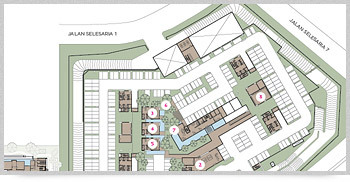 The traffic flow system at the main entrance is designed to ensure residents are never held up by visitor traffic. Visitors drive past the main security command centre to a second security point to register at the reception lobby. They are then directed towards a designated parking spot nearest to the resident they are visiting, or the sporting facilities they will be using with the resident. Each tower has its own plush, air-conditioned visitor waiting room located at the lift lobby on the lower ground floor. Visitors can only access recreational facilities at the ground floor level via a secure glass door and in the company of a resident. Residents take separate routes to each of 3 car park levels. A card access security system ensures only residents are authorized to enter the lift lobby. There are panic buttons situated at each of the 3 car park levels as well as CCTV surveillance. Regular security patrols of the perimeter and interior ensure the safety and peace of mind of residents. In the event of an emergency, the lower ground floor can be turned into a Locked Down Security Zone to protect residents. With so many attractions to choose from, you could do something different every day for weeks on end. 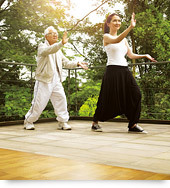 There are many ways our residents can enjoy their leisure time. Sports enthusiasts can make the most of our 50-meter pool or enjoy a game of badminton, tennis or table tennis. Those who prefer wellness activities may choose yoga or a dance class at the gym. Those looking to spend quality time with the family may prefer to spend a quiet morning in the playground or at the eco gardens at S.A.G.E. A perfect Sunday may include a bicycle ride or lazy barbeque at the Lifestyle Pavilion followed by a long relaxing soak in the upper deck Jacuzzi. Residents who love to entertain can enjoy the company of family and friends, while keeping the mess away from home, by holding their party at The Saffron. The function room is large enough to accommodate up to 40 people, and offers hired chefs or caterers the support of a fully-equipped kitchen. catered events at The Saffron. The Saffron makes entertaining easy and elegant. Click to explore Seringin's home. 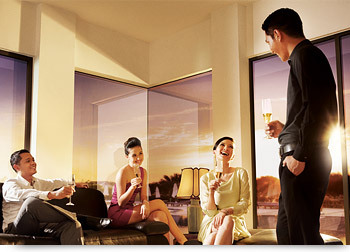 with the rich leisure facilities of the condominium lifestyle. spaces within immediate walking distance. the lifestyle of the community. Over the years, the Group has focused its energies on developing niche residential and commercial projects in strategic locations in Petaling Jaya and Kuala Lumpur. 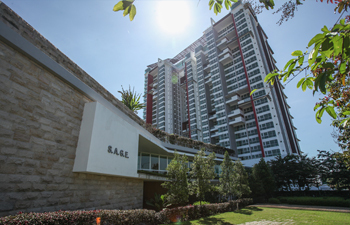 These include the popular Sierra Seputeh gated residences and Sutramas Condominiums, as well as the luxurious, freehold and guarded development Tujuh d’Wangsa in Titiwangsa. Upcoming projects include the Uptown Phase 2 residential and retail development. 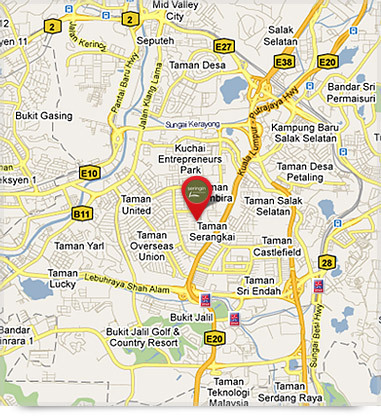 Utama Lodge Sdn Bhd, the developer of Seringin Residences is a wholly-owned subsidiary of See Hoy Chan Sdn Berhad Group.